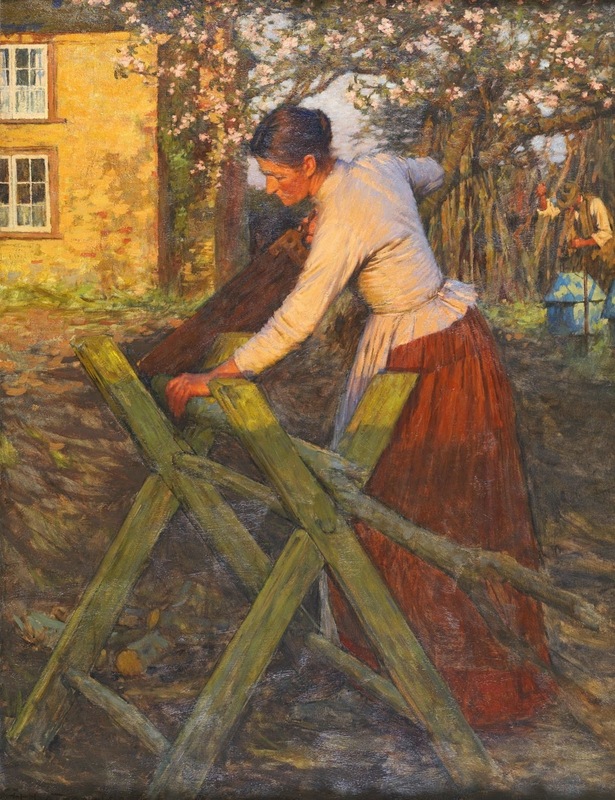 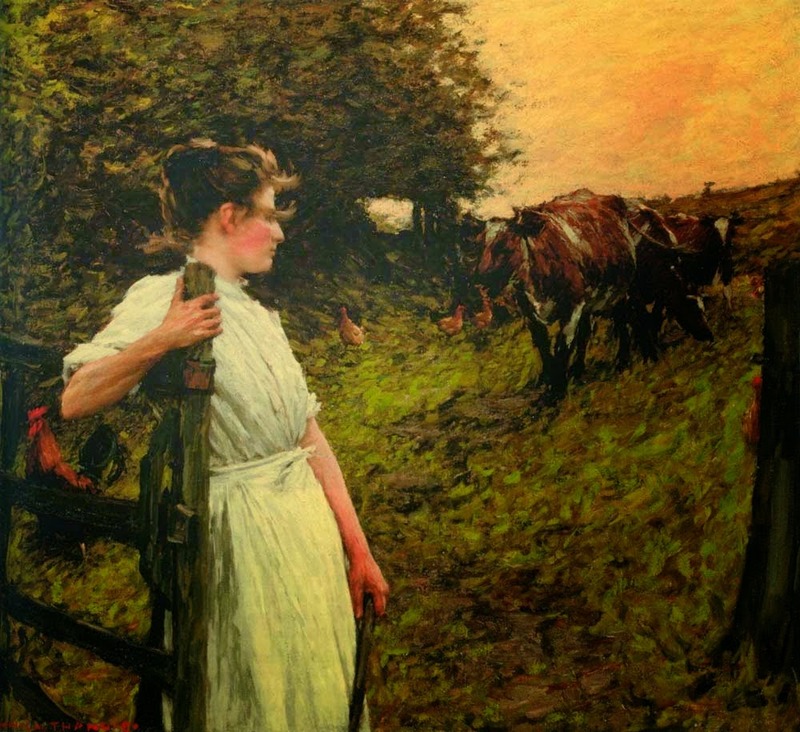 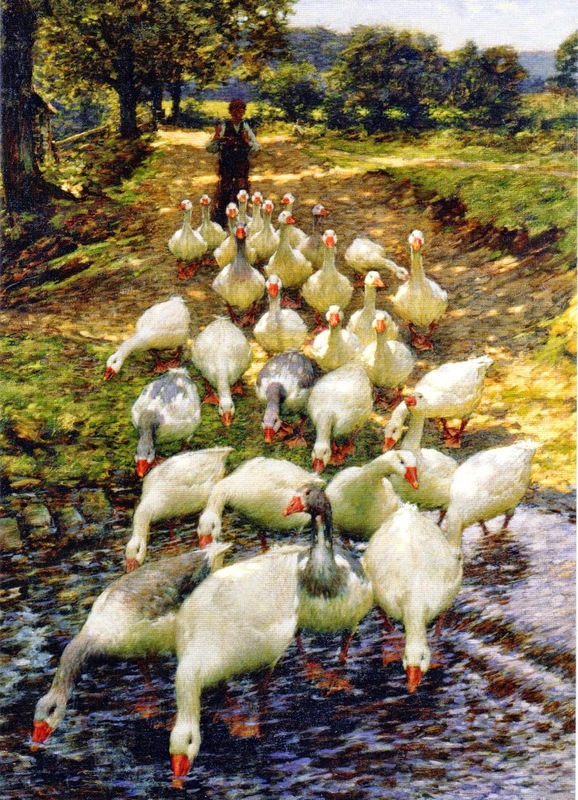 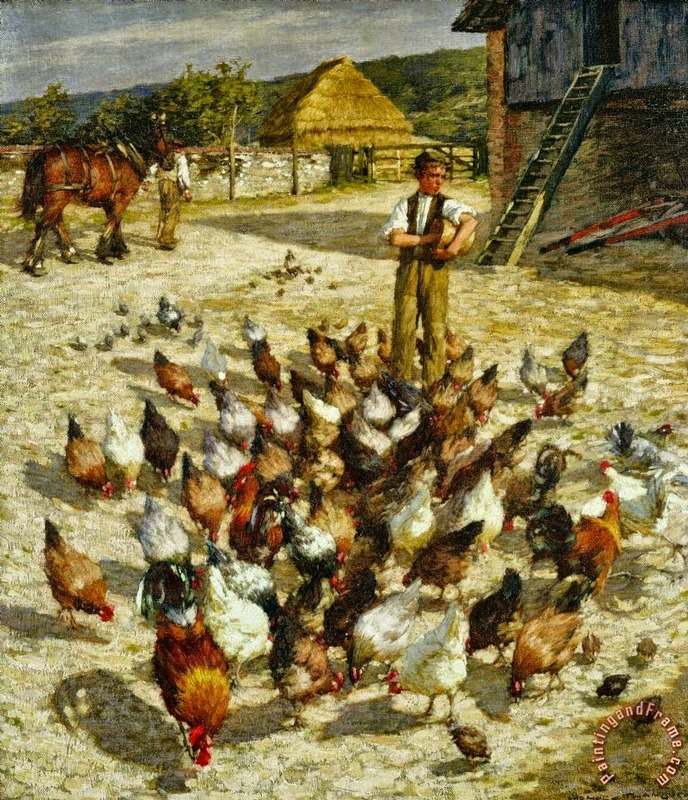 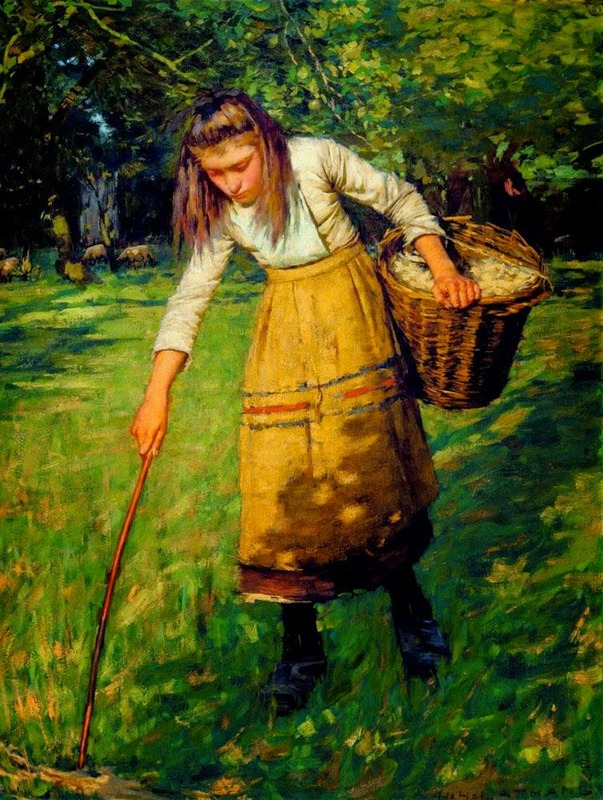 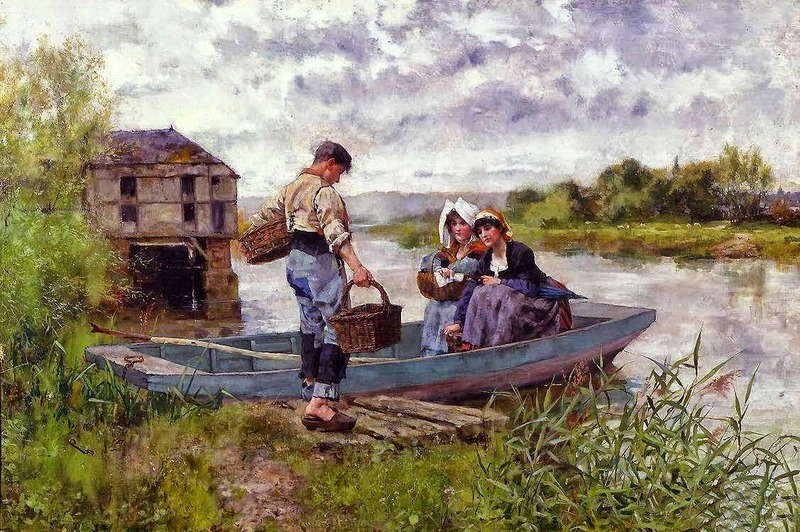 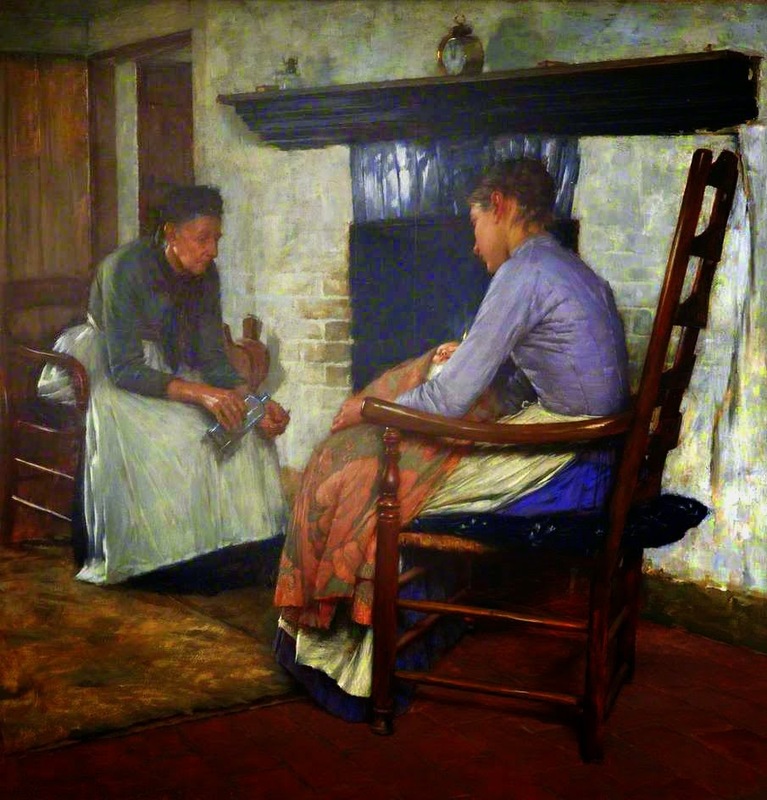 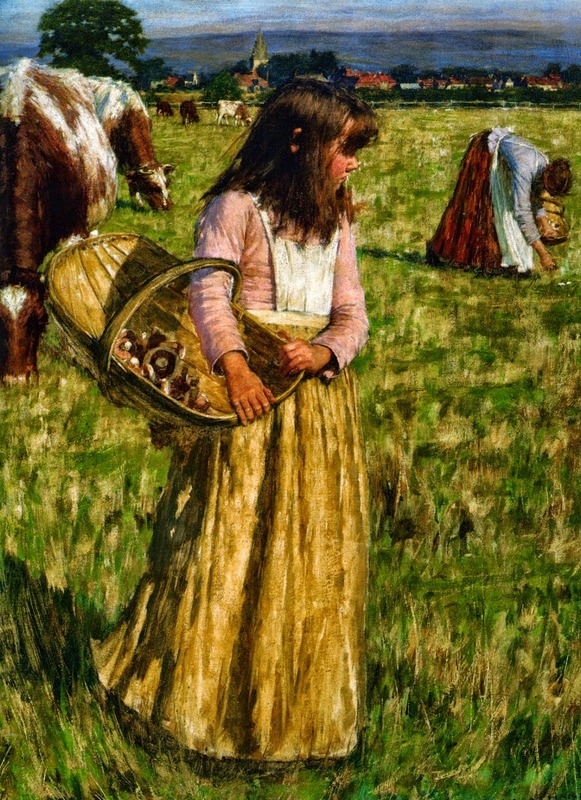 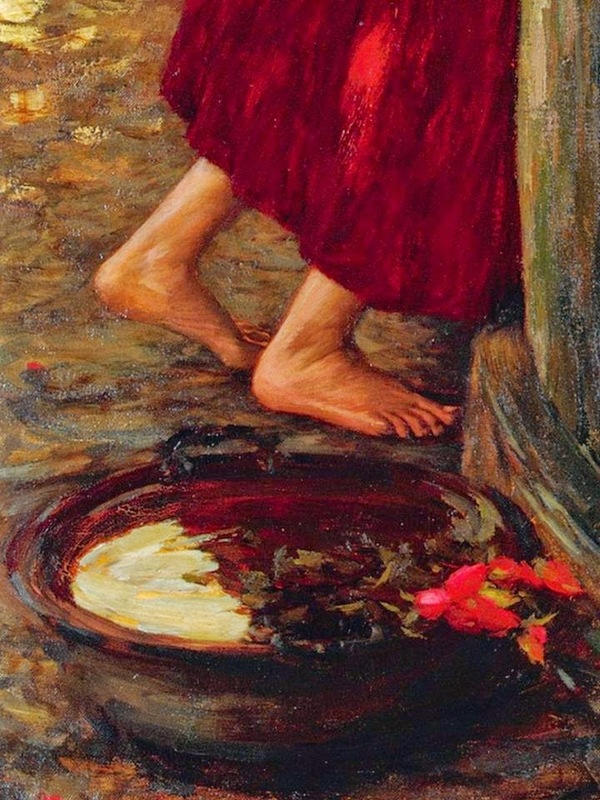 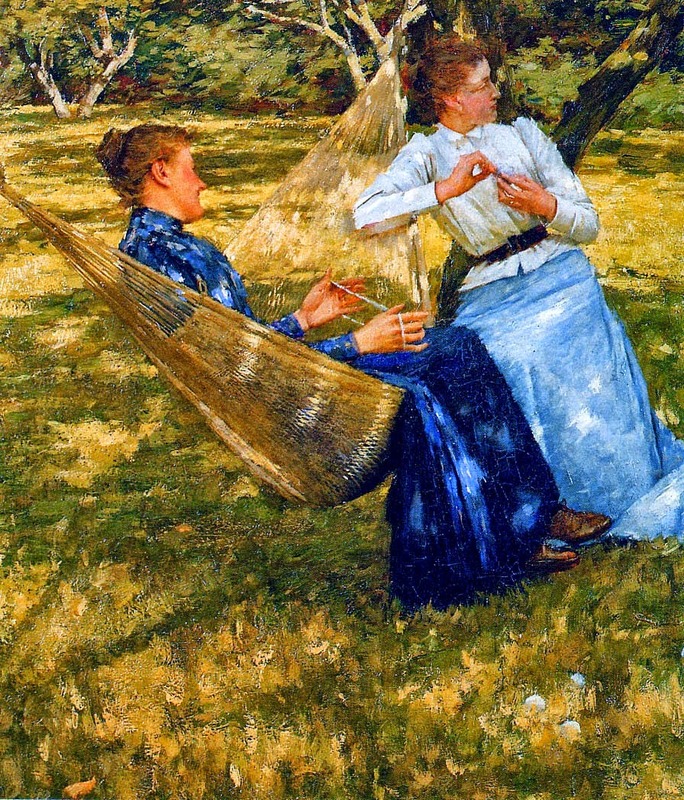 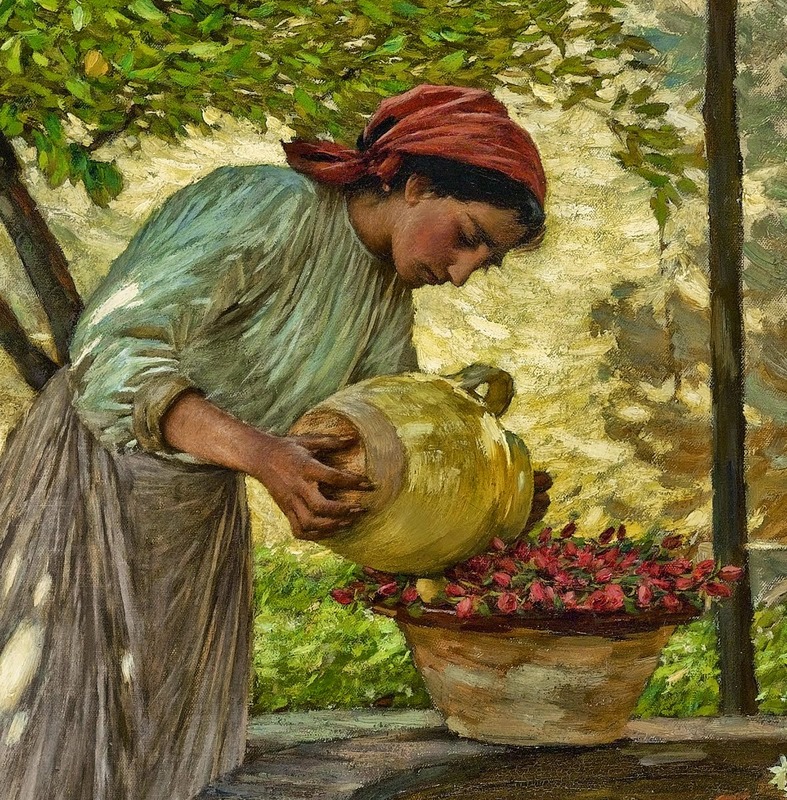 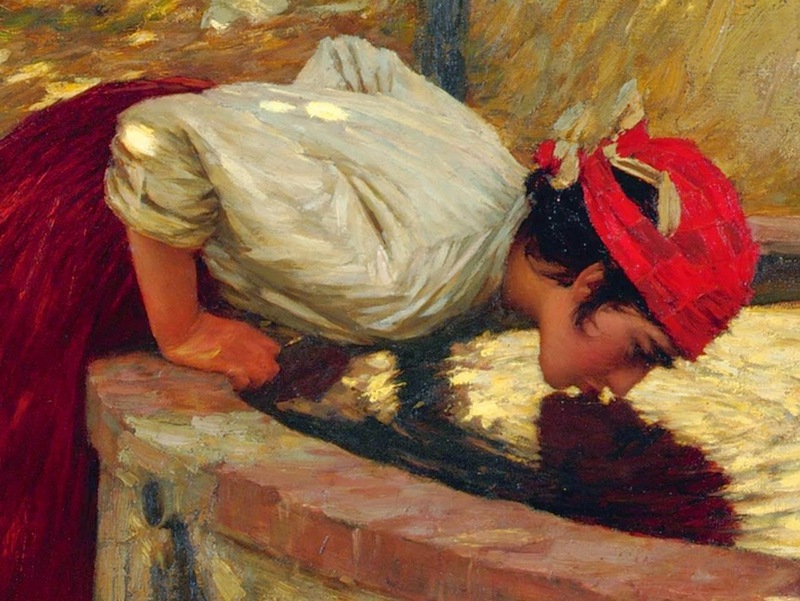 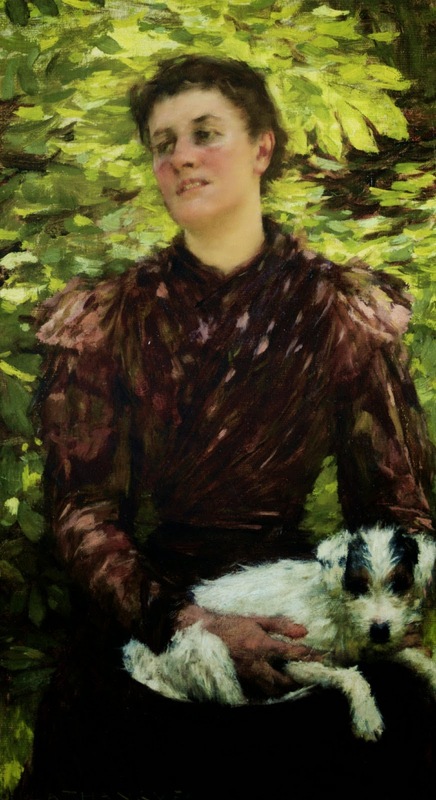 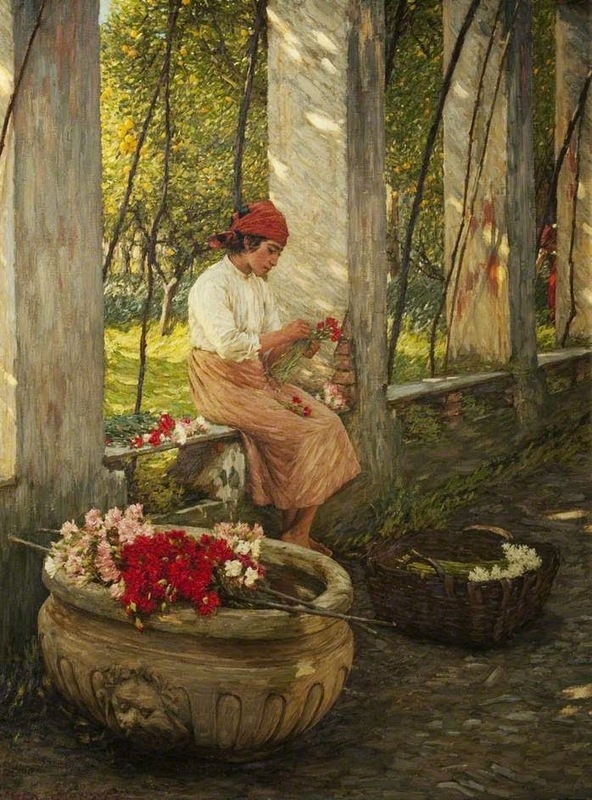 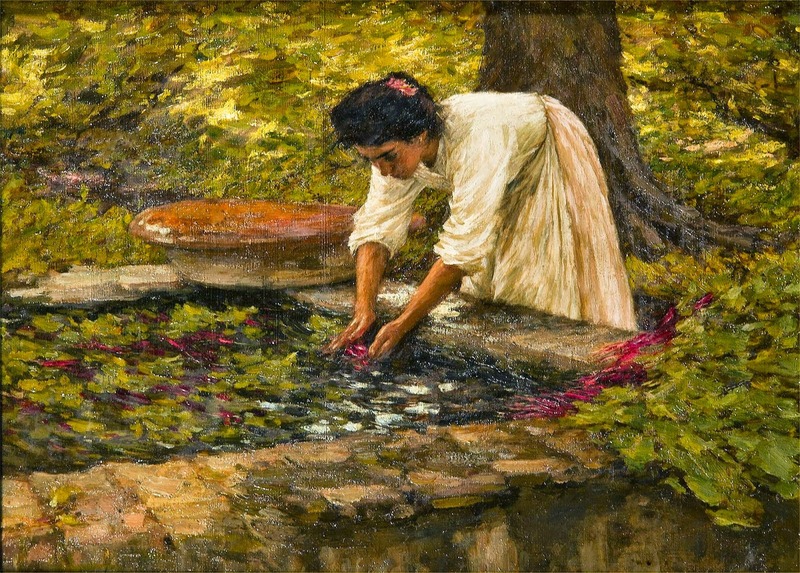 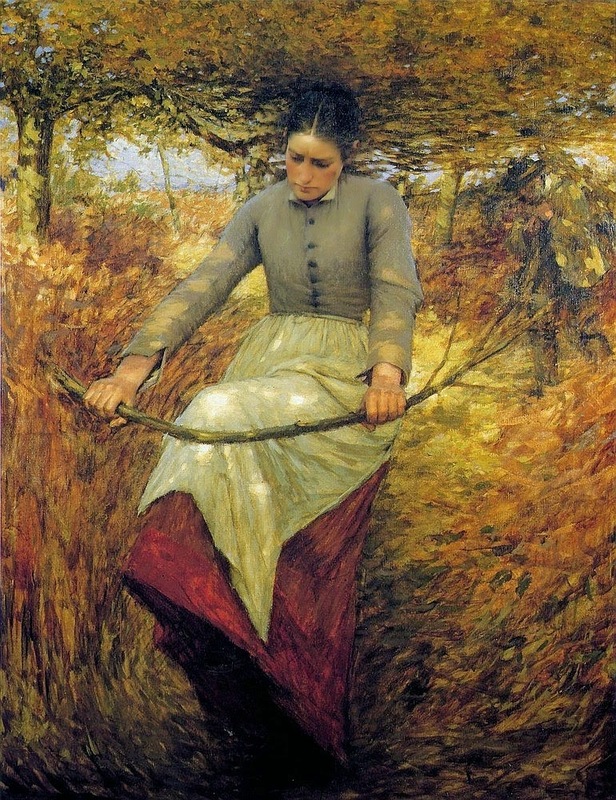 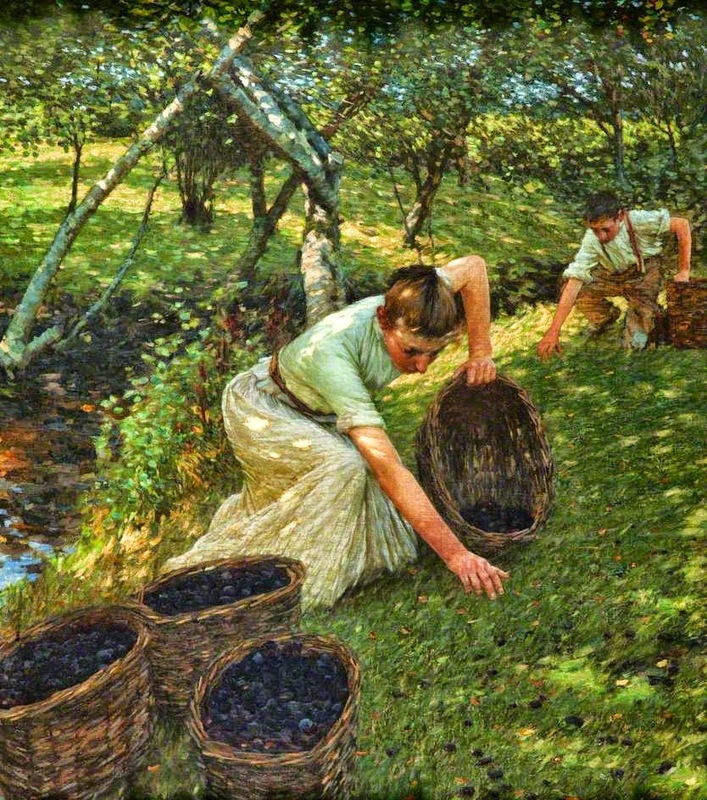 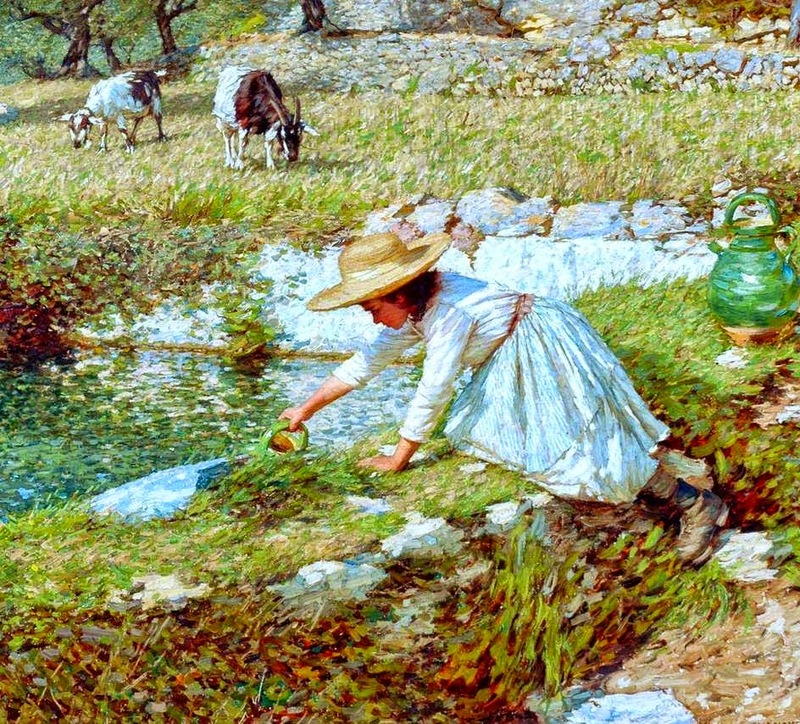 British painter Henry Herbert La Thangue [1859-1929] was noted for his strong convictions and forceful personality. 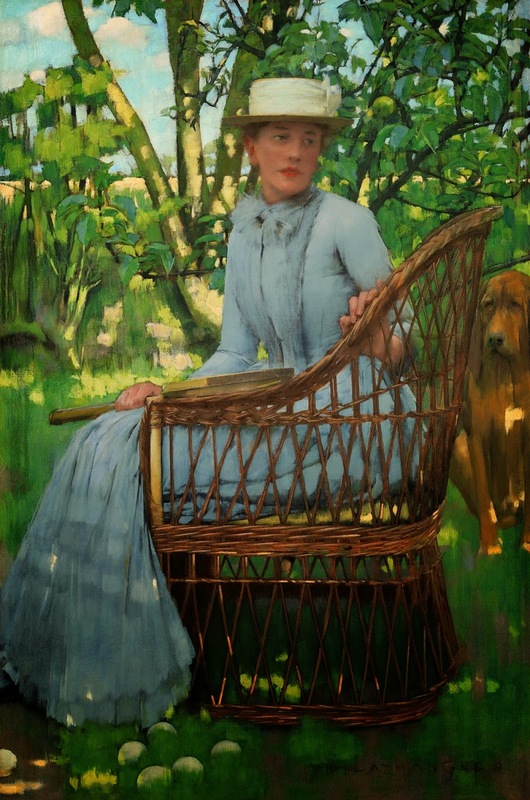 In 1886, having completed his studies in Paris, he was the instigator of an abortive movement to reform the Royal Academy. 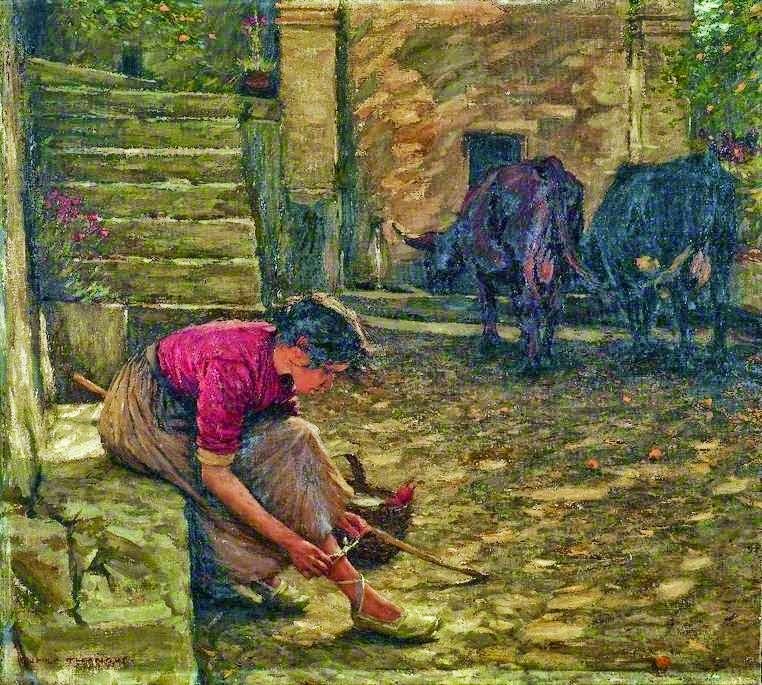 Though he did not attend the meetings held by his contemporaries which led to the foundation of the New English Art Club (NEAC), La Thangue was arguably its most controversial exhibitor. 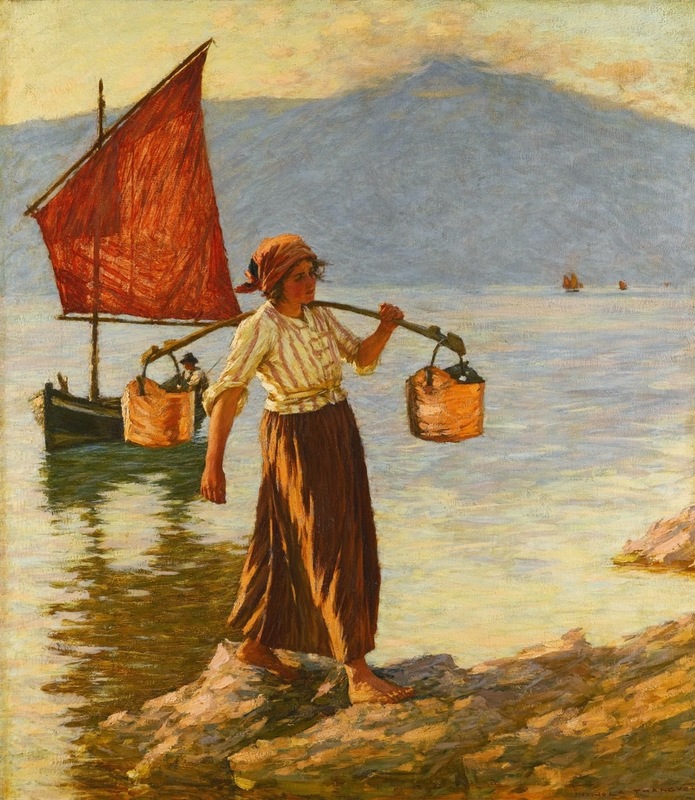 In the following years La Thangue's work showed a growing interest in French Impressionism. 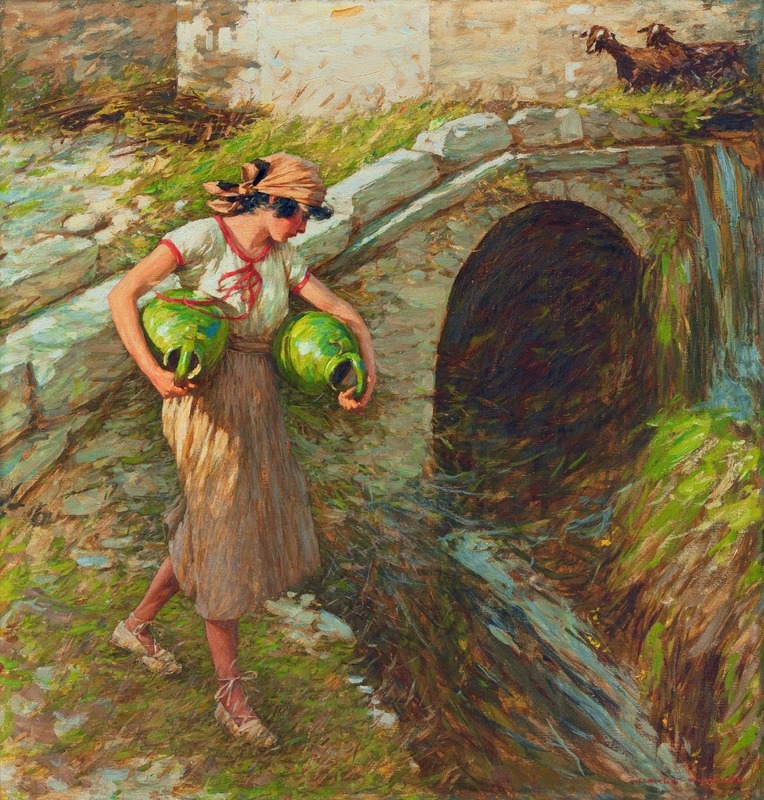 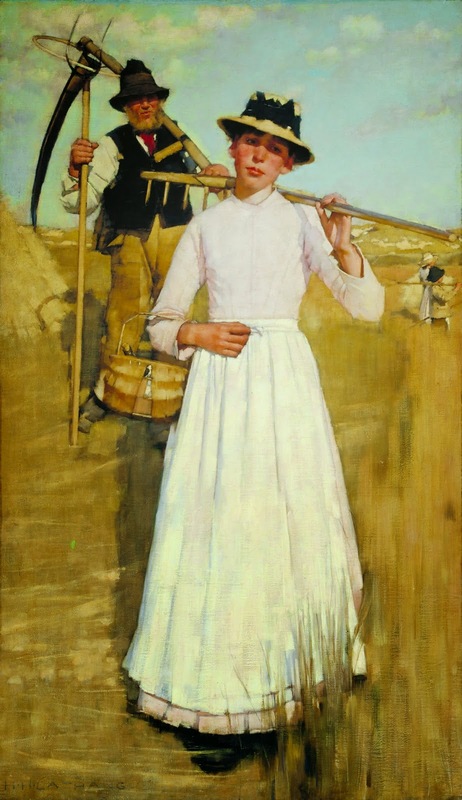 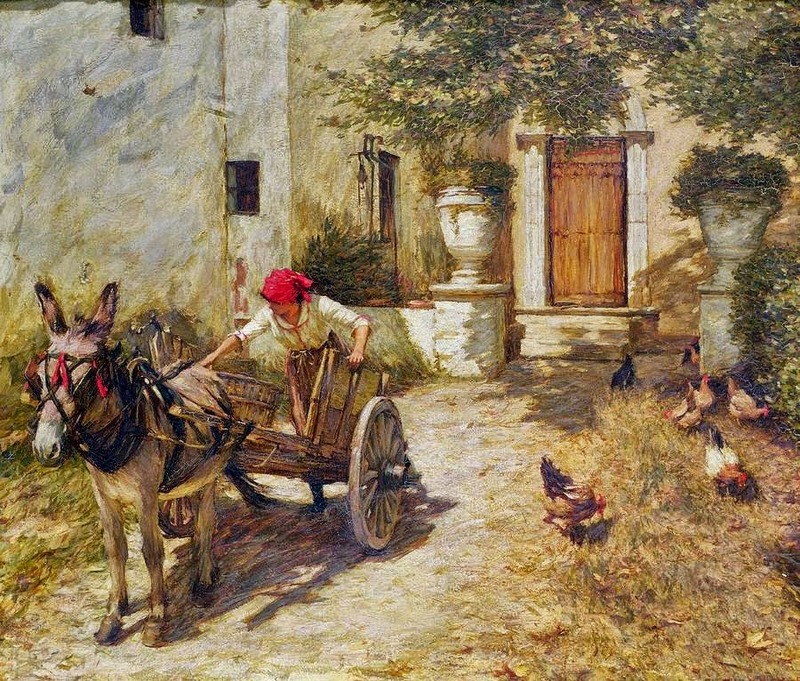 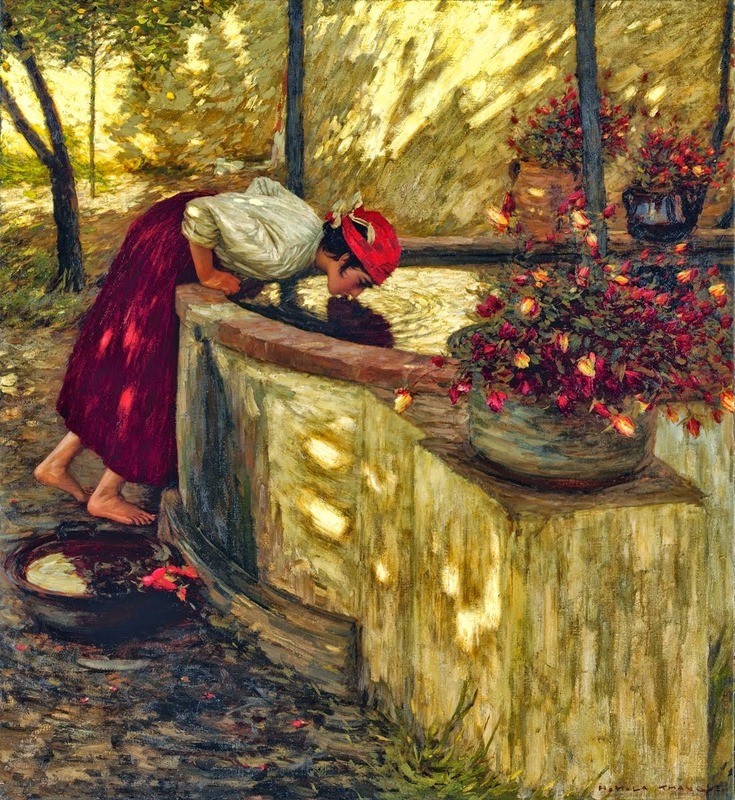 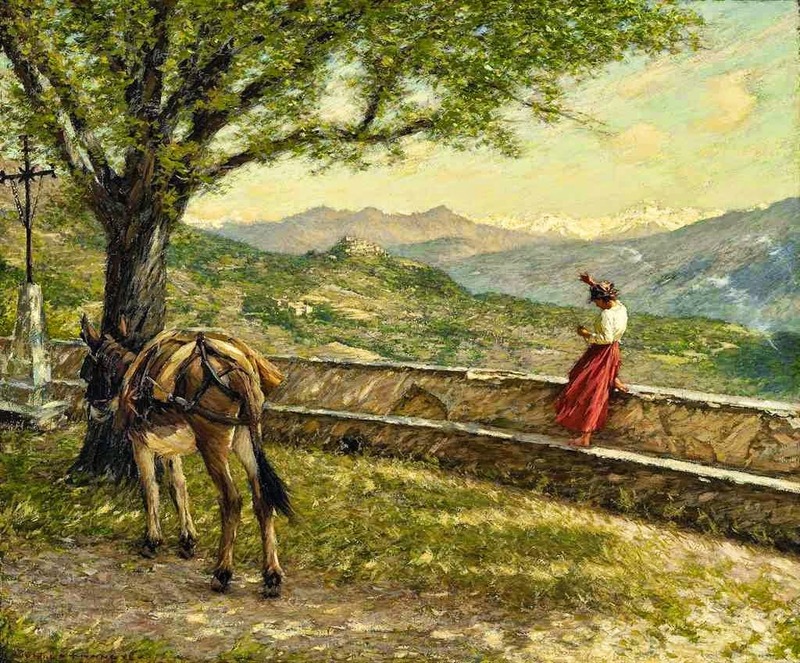 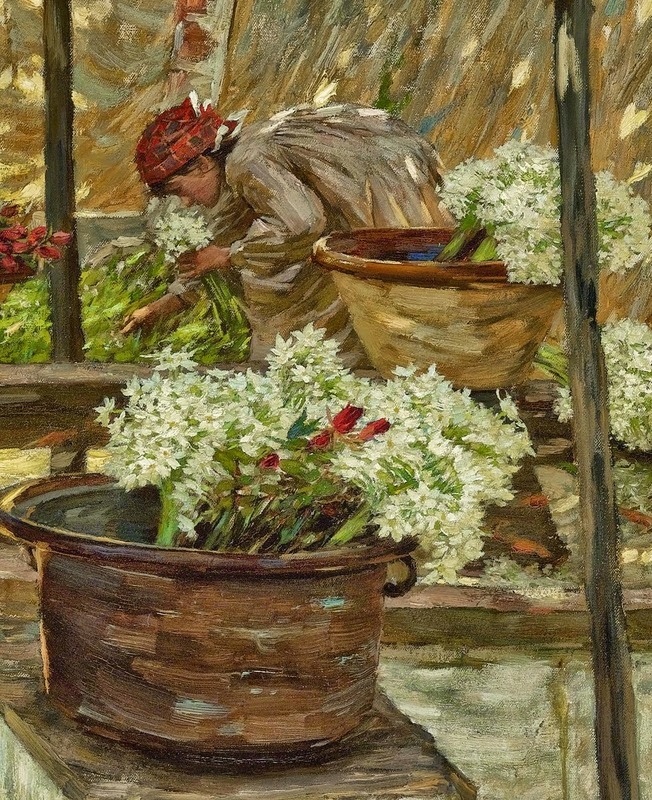 He travelled to Provence and Liguria, and scenes from these travels gradually infiltrated his work as he increasingly regretted the decline of village life in England. 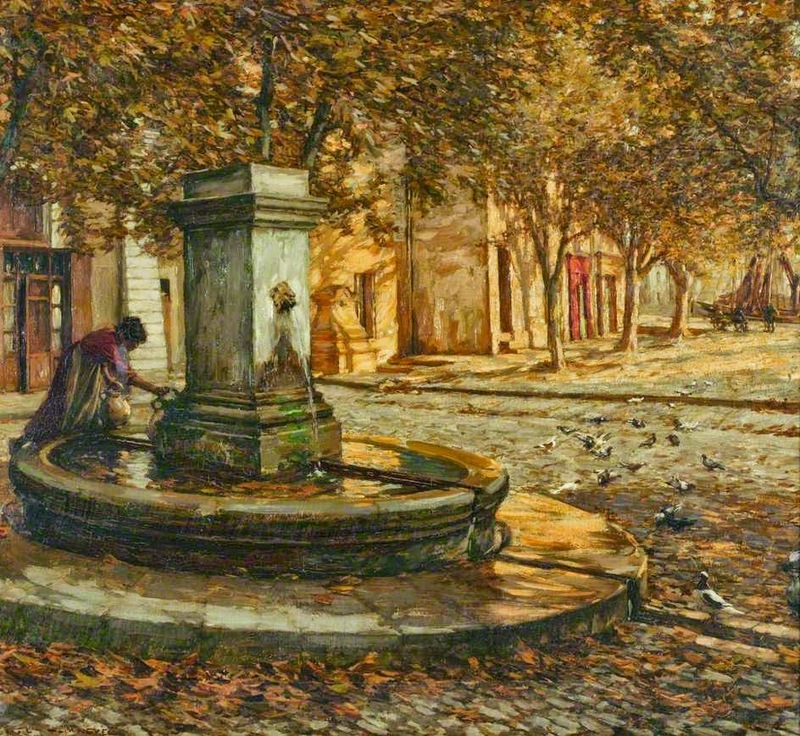 Just before the outbreak of World War I he staged a one-man exhibition at the Leicester Galleries, where he showed a wide selection of landscapes from southern Europe. 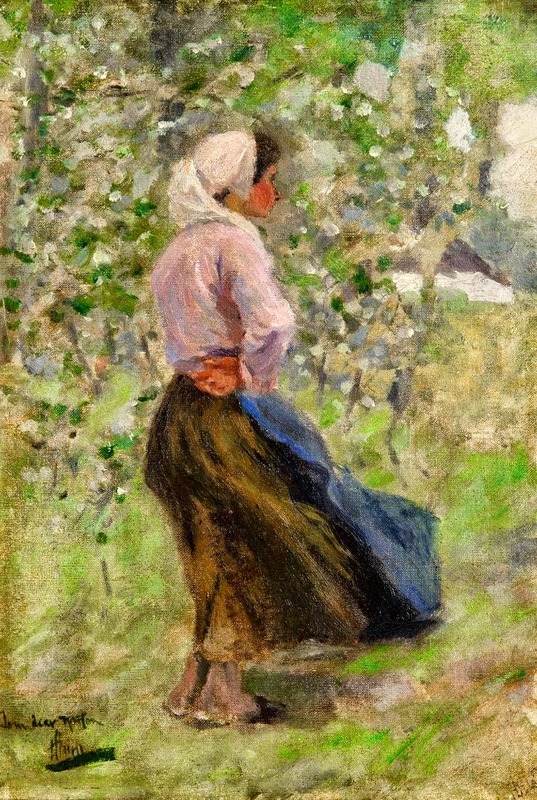 The exhibition was a critical success and was lavishly praised in The New Age (7 May 1914) by Walter Sickert, who found La Thangue's use of the language of painting original. 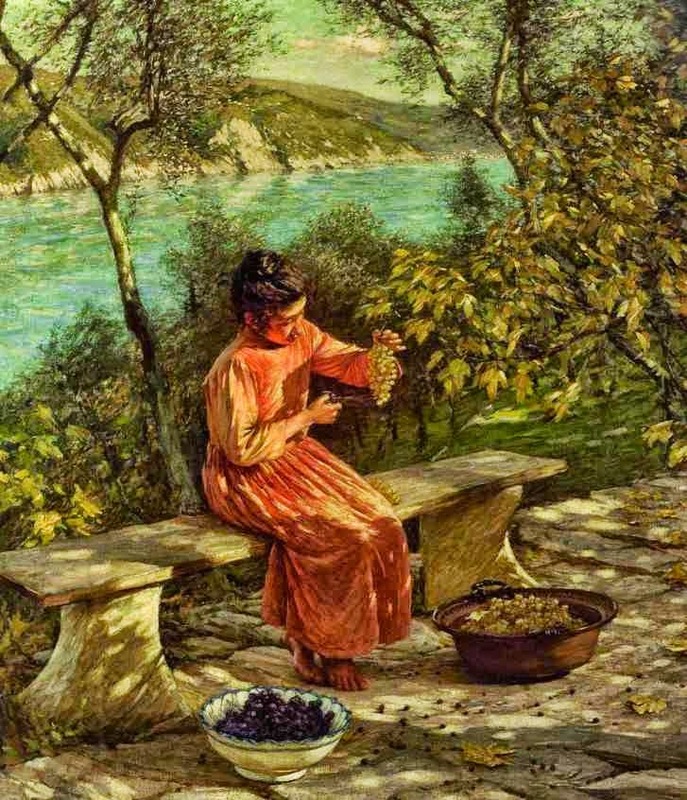 After the war, La Thangue returned to Liguria, and during the 1920s his entire production was given over to scenes of orange groves and gardens. 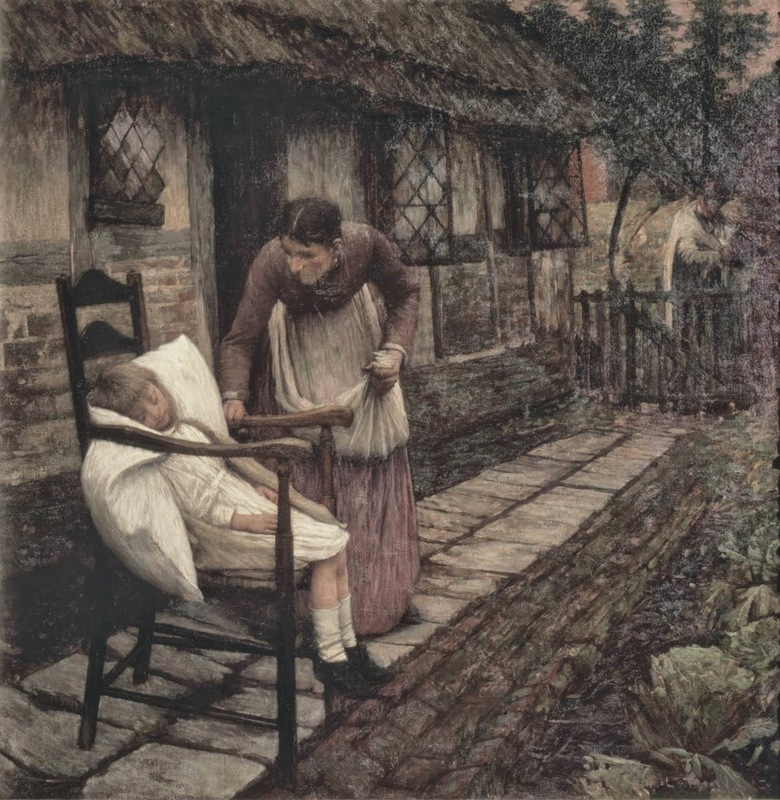 He died in a state of depression at the news that some of his paintings had been destroyed in a shipwreck off the coast of New Zealand.